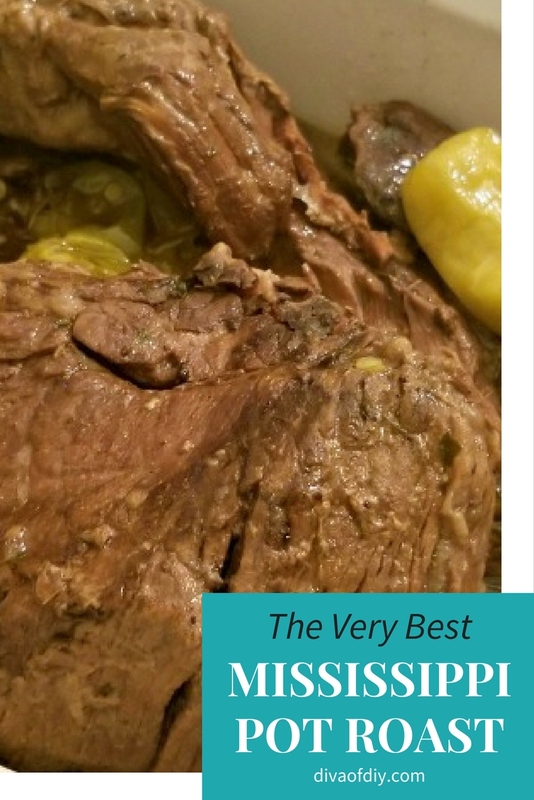 This Mississippi pot roast is my go-to when I need comfort food. It is hearty, delicious and reminds me of Sunday dinners at grandma’s house. Step 1) Place Chuck Roast in the bottom of a large crockpot. Step 2) Add radishes, if desired. The radishes cook down with the taste and texture of potatoes…they are delicious. Step 3) Slice one whole stick of butter and place on top of the roast and radishes. Step 4) Sprinkle packet of Au Jus over the roast, radishes and butter. Step 5) Sprinkle packet of Ranch over the roast, radishes, butter and Au Jus. Step 6) Pour 1/2 jar of pepperoncinis and juice over roast, radishes, butter, au jus and ranch packet. 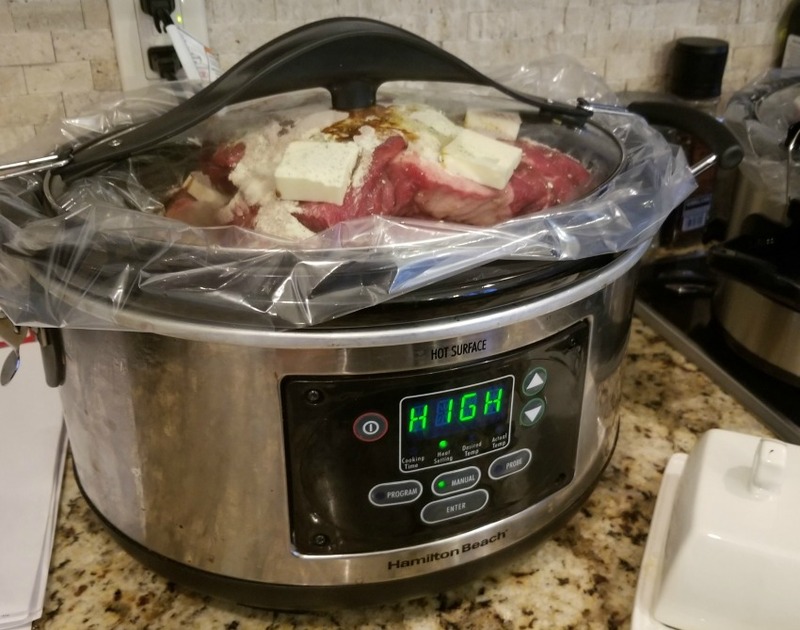 Step 6) Cook on high for 6 hours or low for 8-10 hours, depending on your crock pot. I serve this Mississippi pot roast with twice-baked cauliflower and my easy green bean recipe. This recipe reheats really well so I like to incorporate it in my weekly meal plans. I usually pack 3 oz of roast with 2 slices of bacon and either 1/2 avocado or 1 cup of green beans, depending on my macros for a satisfying lunch. This is the best pot roast I have ever put in my mouth! All of my family members request this and I never have any leftovers. 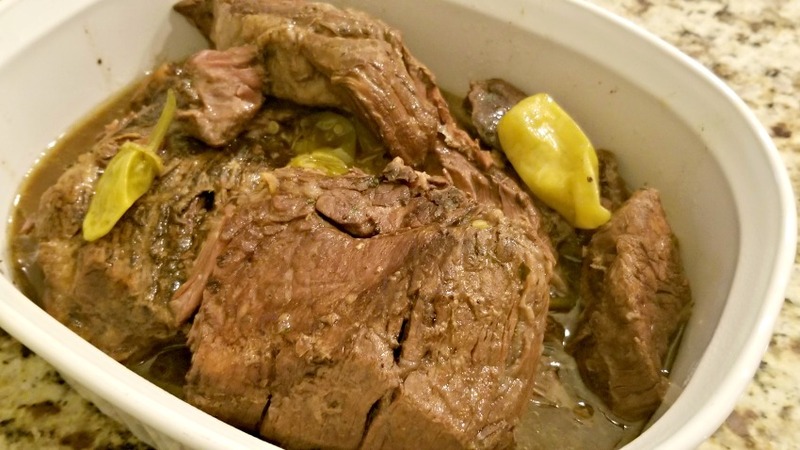 Place Chuck Roast in the bottom of a large crockpot. Slice one whole stick of butter and place on top of the roast and radishes. Sprinkle packet of Au Jus over the roast, radishes and butter. Sprinkle packet of Ranch over the roast, radishes, butter and Au Jus. Cook on high for 6 hours or low for 8-10 hours, depending on your crock pot.